707 Truthband by Emerald Mountain is a good reflection of its parents, with origins dating back to a rigorous selection of True OG. This outstanding medium-sized/big plant is easy-to-grow and spectacular during the flowering period, as it is covered by different reddish and purplish hues. It performs well both indoors and outdoors, but it grows happier in temperate Mediterranean climates as well as under the protection of the greenhouse. It is a classic Californian strain which boasts a delicious and unique flavor, making it the most coveted cannabis seed by all refined experts on the field. this was the second time i have grown 707 truthband. once indoors once outdoors. this strain excelled in and out.it has winner written all over it. never had any problems with mold or bugs none of it.i just call her purple queen. the strength is unbelievable.i live in south of holland.my mates whom are regular coffee shop guys with access to all the big names(amnesia,S5 haze bubblegum etc...were saying that 707 truthband taught them how to be careful with strong weed.gorgeous purple unbelievably strong with deep deep smell...crazy weed.i am in love.....again.cant wait for your new releases! I first grew this out as a freebie. I had to immediately order more! The beautiful colors this plant produces is just insane. I am a lover of lemon strains and this baby is pure lemon gas! Great job, this one will be in my garden for a long time. Most exotic fuel I've tasted to date. Being in Canada, we are not blessed with to many fuelly varieties up here, so this was an absolute treat and the bag appeal was 10/10... would buy again and recommend to friends, truly a Mandelbrot creation!! Very hard hitting , lovely strain to grow , resin production is out of this world . Really like the smell on this one very nice very good strain recommend to anyone! 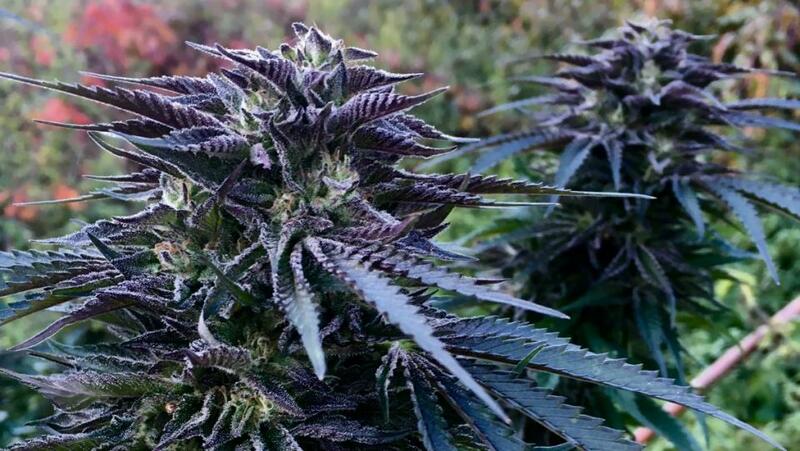 Outdoor California Review: Very easy to grow strain. Recommended for both beginner and experienced growers. Strain grows thick branches that hold thick average length colas. Buds are dense and heavy. Expect dark green throughout veg and beginning of flower. Will likely be a little stinky throughout veg. During flower there is some stretch, around 25%, but the plant remains full. Can be left alone or topped. Responds well to topping but performs great either way. The buds begin to stink and get resinous early on and the production continues to increase. At week 9 or 10 buds will appear finished, leaves will be mostly, or all reddish black in color. Very beautiful plant to grow. If allowed another week or two for finishing you will be rewarded with very dark purple nugs and extreme crystal output. The taste, appearance, and weight all change in the days before harvest. For best results, if larger colas are too far along to wait, cut them off, and allow the plant to finish. Well worth the wait. Excellent bud to leaf ratio. Easy to trim. Make sure to dry and cure properly or you will definitely end up with a very chlorophyll smell and taste. When dried and cured properly, the smell and taste is very potent. I would describe it as Kush mixed with Skunk, similar to GSC or candyland, but not the same. Yield is slightly above average. Wax is strong, but not as terpy as I thought it should be. This is a staple for any medical garden due to it's potency and taste. Best time to flower this strain is in the spring. This gives the plant a shorter flower time and cooler flowering temps, which it seems to really enjoy. One of the best strains out! Growing this again after growing it 6 years ago. Happy that it is recirculating. Very frosty strain smells like a wonderful pina colada I get a 30% return bho. 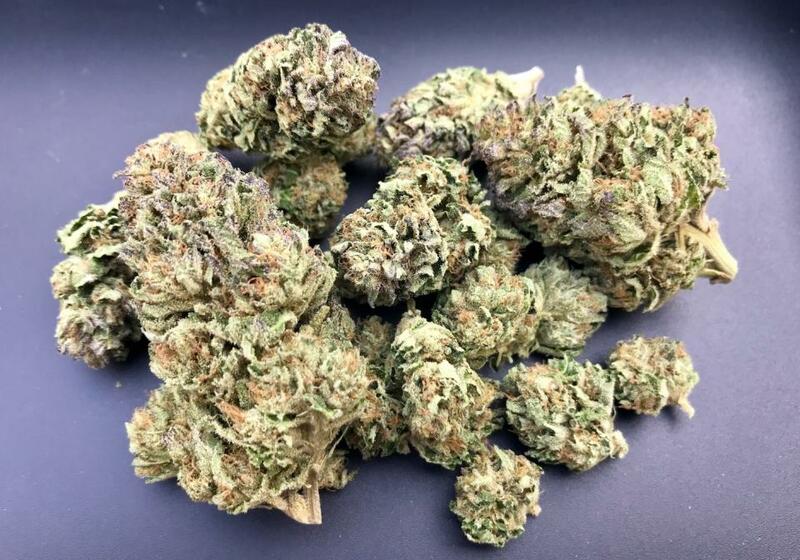 Humboldt seed organization you guys rock you're gear is a rock solid investment buying every strain just in the 8th week of green crack and blue dream unbelievably frosty! I say this a lot, but I love this strain. It's has a great smell to it with nice dense slow burning buds, delivers a great high, and smokes nice and smooth. Great for any time of day. This looks like a good one for the So. Cal Garden. I had a freebie seed which turned out to be a keeper! Purple hues on the stem,very nice structure ant it was excellent for scrog. 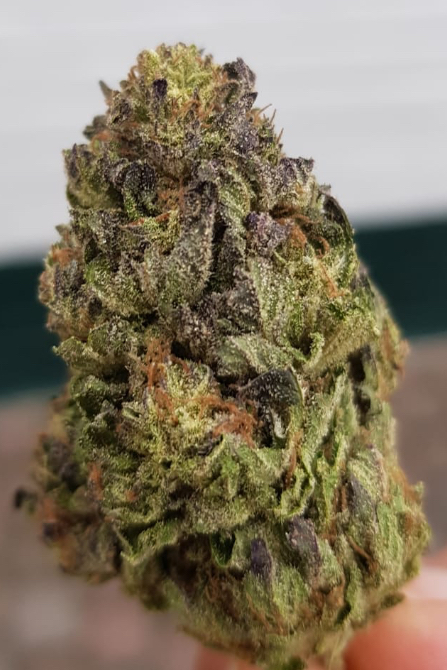 The buds were like wizard hat shape and very dense After week4 in flower the buds and leaves gained a deep purple nearly black color.my most beautiful plant up to date.already in veg it was obvious that it is elite genetics. i wish i could show pictures! Very strong musky skunky meaty peppery smell was hard to contain Some of my friends reported tunnel vision with the strong long lasting euphoric high Excellent genetics! My blue dream from you guys was a winner but this is in a different league.! Headband had always been a favorite of mine, this hybrid is perfection.